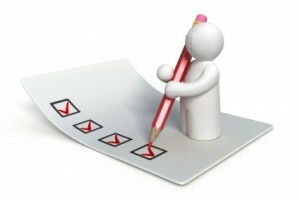 Solutions Pack | PowerNomics® Corporation of America, Inc. 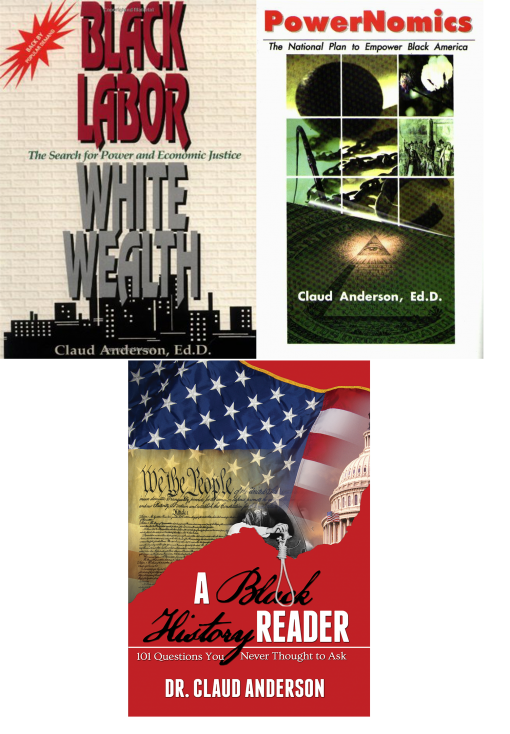 This 3-book Solutions Pack is jammed packed with inspiration, education, and solutions for Black America by Dr. Claud Anderson. Black Labor, White Wealth: The Search for Power and Economic Justice, Dr. Anderson provides a historical analysis of racism and the problem of Black Americans. 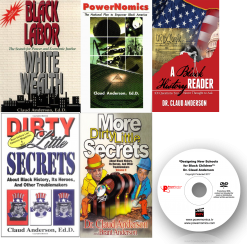 The research in this book is the foundation for the solutions formulated in the second book in the Solutions Pack, Powernomics: The National Plan to Empower Black America. A Detroit Free Press and Essence Magazine bestseller, Powernomics: The National Plan to Empower Black America analyzes the complex web of racial monopolies and Black America’s inappropriate behavior patterns that are driving it into a permanent underclass status. Dr. Anderson proposes new concepts that teach Blacks new ways to see, think, and behave in race matters. His new education, political and economic action steps are designed to make Black America self-sufficient and competitive. A Black History Reader: 101 Questions You Never Thought to Ask is Dr. Claud Anderson’s newest release, written to highlight and examine the ignored Social Construct on Race, its effects on Black Americans and strategies they can use to take advantage of its weakness. Using a Q&A format, Dr. Anderson focuses on the etiology of White racism embedded within the Social Construct.